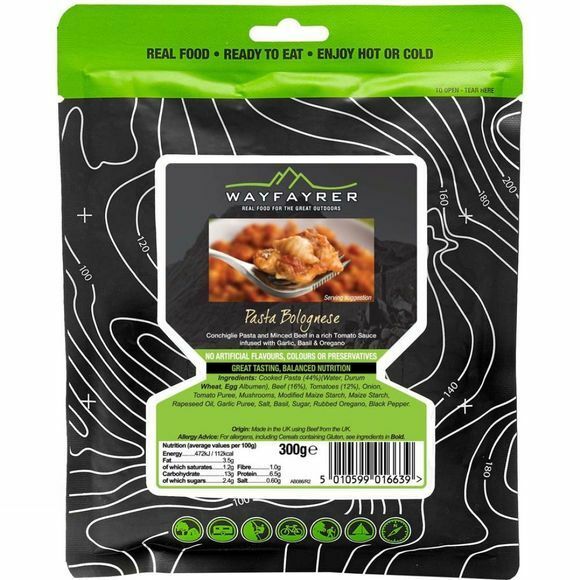 The Pasta Bolognese from Wayfayrer is ready cooked so you just need to heat it through (or eat it cold if needs be), with a long life span so if you don't eat on this trip, it'll probably be okay for your next. 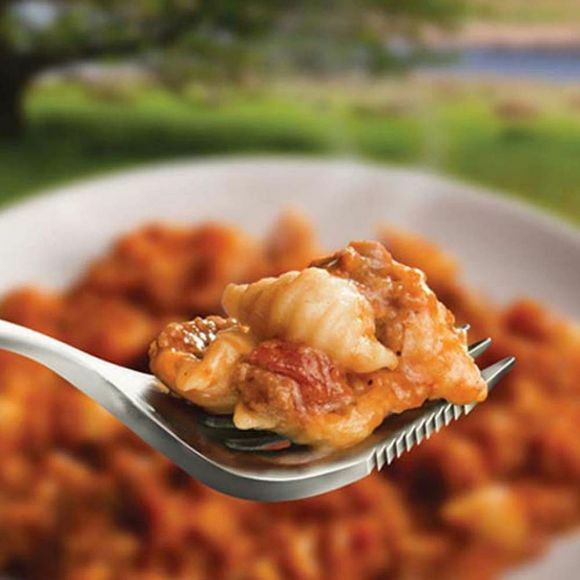 It's also packed in a flexible pouch so it's more rucksack-friendly than a tin, and to top it all off, it's delicious! Cooked Pasta (44%) (Water, Durum Wheat, Egg Albument), Beef (16%), Tomatoes (12%), Onion, Tomato Puree, Mushrooms, Modified Maize Starch, Maize Starch, Rapeseed Oil, Garlic Puree, Salt, Basil, Sugar, Rubbed Oregano, Black Pepper.